In this post for GigaOM/TheAppleBlog, I review the new Neat Cloud scanning service. 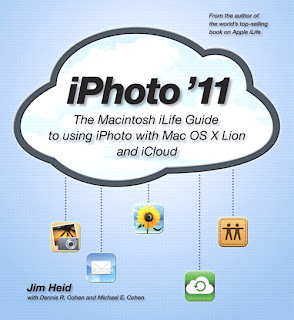 This is the best book out there for the intermediate Mac user who wants to know “What can Mountain Lion do for me?” Beginners need not apply here and this isn’t a how-to book. It’s a list of the more technical functions and implementations and in particular what’s new in Mountain Lion. No fluff here, it’s all good. This is the type of book every help desk should have handy for a quick reference to common questions of end users. The table of contents and index lets you quickly find the function you need and typical of the pocket series: an appendix with useful keyboard shortcuts. Books in the Missing Manual series are consistently the most comprehensive books for novice and intermediate users. In its usual brilliance, this hefty volume covers most every feature of the new operating system along with a few tips and tricks along the way. As Apple makes minor revisions to its operating system, Pogue has gotten a bit lazy in updating screen shots and some information in the book. Numerous screenshots show pictures from Lion and earlier operating system versions. A novice user might get confused by these subtle variations. This edition, more than any other edition I’ve seen in Missing Manuals had errors caused by not updating certain sections. That being said the major new features are covered extremely well and the guide to dictation was valuable. The chapter covers the exact syntax of commands and expertly discusses what dictation can and can’t do. I would have liked to see more direct highlights of new Mountain Lion features so readers could hone in if they are upgrading from Lion. New users might be overwhelmed by the depth and breadth of the book. It covers most every function and doesn’t easily sort out what you “need” to know and what is “nice” to know. 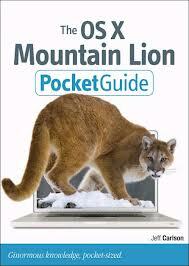 Overall a great tome on everything OS X Mountain Lion, but be careful about the errors. 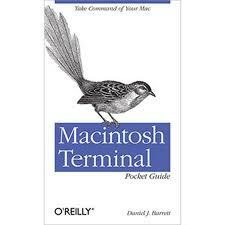 This small guide gives Mac users a very basic introduction to Unix commands. This book is designed for the do it yourselfer that has always wanted to, but afraid to, open the terminal program and check out the shell. The commands and options are generally given a context of how you might use the commands in the real world. In particular this book was extremely well laid out making it clear to the reader the commands, options, outputs and results of each section. Many books I've previously read on the subject suffer from text overload but this book had a great use of typefaces, shading and style to make it a clear and straightforward read. Unix commands can be overwhelming and just downright scary if you don't understand them right and enter them in correctly. This book empowers the reader to explore without messing up their systems and risking damage. In this post for GigaOM/TheAppleBlog, I review Netzero's 4G hotspot. In this post for GigaOM/TheAppleBlog, I review a great portable iPhone and mobile device charger called iKeep. Apple’s iOS devices are simple, elegant and just work. However, one flaw of their design is they lack an integrated stand: they simply can’t stand up on their own. 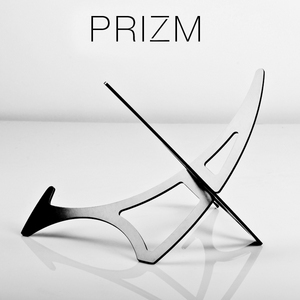 Enter the Prizm Stand: the logical choice for displaying your iOS device. Although these stands are not specifically designed for the iPhone and iPad, I can’t imagine a better pairing of two products. The stand is comprised of two pieces of aluminum in a variety of attractive colors that provide a stand to hold your tablet or phone. The brushed metal design matches the iPad and iPhone perfectly (but doesn’t come in white!). 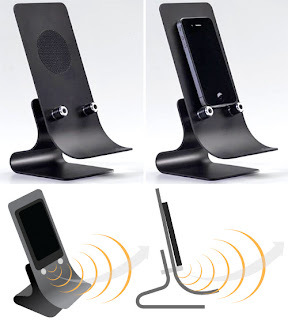 The stand comes together by simply crossing the metal pieces into a scored slot. 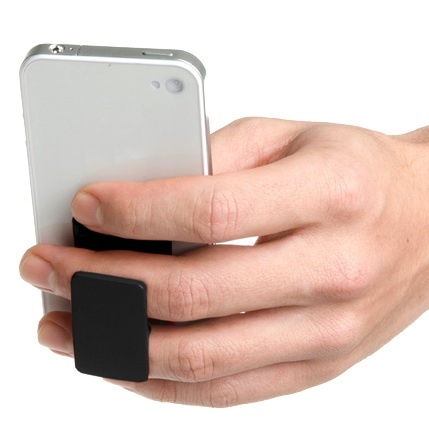 The lightweight aluminum make the stand lightweight and portable and the phone stand actually fits on your key chain. When devices are held in the Prizm stand all ports are accessible, including the bottom dock and the device can be held in a portrait or landscape orientation. In addition, I had no problem using the Prizm with a variety of iPhone and iPad cases: even my thicker “extreme” cases The cradling is secure and reliable, but unfortunately is not adjustable: one position is all you get. The attractive colors frame the iPhone and iPad extremely well and instantly draw the eye. This is the type of stand that impresses people and if you want a conversation piece on your desk or to draw people to your Macworld booth this is the way to go. I can also see this stand working well for using your iPad as a picture frame. Personally I’ve used both the tablet and the phone stand for travel: works great to prop your iPad at the coffee shop or on the plane to do some hands free reading. The best feature is the price: $24.95 for the phone stand and $29.95 for the tablet stand. This price makes it easy to buy the stands in a variety of colors depending upon your mood. My favorite was the green, but it comes in a total of 11 colors. While Steve Jobs hated the stylus and worked hard to make the iPhone completely usable without one, in some circumstances you simply need a more traditional way to interact with the iPhone. Typically I like using a stylus in cold weather when taking off my gloves would just be too cold, or sometimes my hands are dirty or wet and I don’t want to touch the screen. In my day job, I often take credit cards via Square and customers feel more comfortable signing with a traditional writing device rather then their finger. My female friends tell me a stylus is indispensable when you’ve got long nails because the touchscreen isn’t always friendly for those with long or manicured nails. The NuScribe stylus is a great writing instrument in and of itself. Sleek and simple, it has the right amount of weight to hold it comfortably in your hand. As a stylus, it just feels natural. The NuScribe feels just like a pen and because it’s a pen and a stylus, I use it everywhere. I’ve got a pen when I need to write and a stylus when I need to use my iPhone. Since the ball point is on the opposite end of the stylus nib, it’s unlikely you’ll accidentally use the pen portion on your iPhone screen. I remember my Palm stylus had pen marks for when I pressed the wrong button on my stylus/pen combo. The stylus nib is always exposed, so in a purse or pocket you have to be careful it doesn’t get damaged. Ideally it would have some protection, but that protection would probably detract from its ease of use. The price of the stylus is inexpensive enough that if you lose your pen (or it walks off your desk), it won’t set you back too far. And, yes, it works great with Draw Something! A great multifunction stylus that lets bridges your digital and analog world at a price that won’t need a carrier subsidy. As the weather starts turning nice and we start shedding the layers of clothing and blankets, many of us have noticed some of the inevitable winter weight gain. 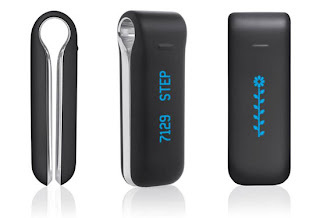 The Fitbit is an affordable solution to track your exercise and overall fitness. The Fitbit is about the size of a small money clip and can be put in your pocket via a clip-on or worn around your wrist. Along with the Fitbit monitor is a a docking/charging station that creates a wireless port connection on your computer. When your Fitbit tracker is within range, the docking station uploads data to the Fitbit website so you can access tracking via the web and the iPhone app. 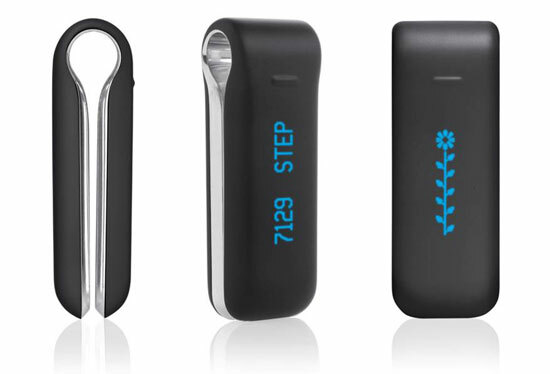 The tracker is a high-tech smart pedometer. It looks not only at how many steps you’ve taken but how many stairs you’ve climbed and monitors your sleep for you. Taking in account your height, weight, and age, it determined how many calories you are burning based on your activity and basal metabolic rate. Compared to more advanced analyzers such as a heart monitor or the BodyMedia Fit Core, the numbers were consistent. You can easily track your progress throughout the day and set goals for yourself. The iPhone app also include a calorie tracker, but the database was very limited. Instead I used Loseit! Fortunately the FitBit has an API (http://www.fitbit.com/apps) that allows other programs to interact with your Fitbit. Combining the FitBit with LoseIt! made it very easy to track what I ate everywhere. Other apps include the ability to use the Aria Wi-fi enabled scale so that way you don’t even have to enter your weight. Similar to such popular social apps as Foursquare, the Fitbit website allows you to compete with friends and earn badges such as having walked 250 miles or your best number of stairs in one day. This gamification makes it easy to create incentives to go a bit farther each day or climb a few more stairs. According to the Fitbit specs, the device’s battery life is a minimum of three days and average is five to seven days. My personal experience matched that as I would usually only dock it on the weekend and had no problems with battery life. The charging must be via the dock so travelers could have problems if they don’t bring a laptop on a long trip. The Fitbit will only sync with the dock connected to a computer since it has no inherit ability to directly send data to the Fitbit website. My only major concern with the device was its very small size. When I’d go to the gym or get on the elliptical at home, I’d forget to clip it on when I changed clothes. It was a habit I had to train myself to do: always put on the Fitbit. Once or twice the device had a near fatal run-in with the washing machine as I’d forget to take off the Fitbit before throwing clothes in the hamper. A frantic run to the basement saved the Fitbit before someone pressed the start button on the washing machine. For $99 the Fitbit delivers a great way of tracking your fitness progress and keeping you accountable. The long battery life and the web interface and APIs make it easy to connect with others working on their fitness and track a variety of factors that can contribute to better fitness. Use this in connection with your own weight loss journey and have fun with your process. It makes working out almost enjoyable! This book is a great comprehensive guide to the iPhone 4s and iOS 5.0 in general. The books is organized in a question format with chapter titles such as “How do I configure my iPhone” and “How do I connect my iPhone to a Network” making more of a functional organization than simply a list of features. This allows the book to be used as a reference manual to skip the stuff you already know, and the chapters are further divided on a more functional basis. Each concept is presented with an excellent description and screen shots so you know you are doing it right and can follow along with the book. Everything is covered in this book: basics, intermediate and advanced topics; not just setup and sync but video editing, iCloud and troubleshooting. 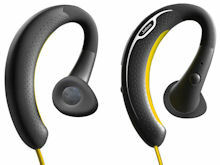 The Genius series is a great product line from Wiley. 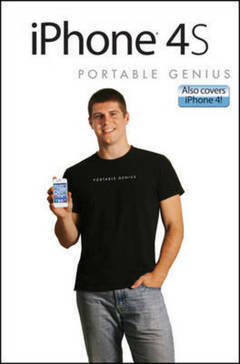 It retains all the knowledge of an Apple genius without the attitude and the long wait to get to the bar. Purchase this book and go to a real bar with your spare time! Just don’t leave your iPhone there. If you’ve ever heard how cool it was to remotely manage a pride of iOS devices (would they be a pride since they are running the iOS equivalent of Lion?) 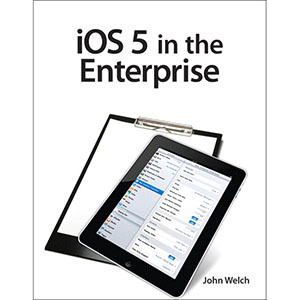 iOS 5 in the Enterprise is for you. The book starts off with reviewing multiple device configuration via iTunes directly and along with the iPhone Configuration Utility (iPCU) and all the really cool ways you can limit and lock down features. Want to remove the ability to install apps from an iPhone? There’s an app for that. Well not an app, but a setting in iPCU. Moving up from iPCU is Mobile Device Management and application servers and then finally applying these configurations via wireless and Over The Air (OTA). After reading this book, I wasn’t confident I could go out and do this myself, but I was confident in pursuing the subject more. The book is more of a coach on the sidelines saying “you can do this,” “you know this” (It’s a Unix system). The author’s humorous and laid back approach to technology really empowes the reader and doesn’t suffer from the dry and stale approach most technical books tend to suffer from. Until I read this, Mobile Device Management of iOS devices seemed like a big theoretical construct I’d have no interest in. I’m not in an Enterprise after all. Now, besides the ultimate cool factor of these remote configurations (and the fact that Lion server is so inexpensive) I can see use cases within a family or a small business with just a few iOS devices. Enterprise is too narrow of a focus and I’d like to be able to instantly configure and remotely manage the iOS devices in my household or organization. If you are responsible for more than a few iPhones, iPod Touch and iPads in your family or business, this book is a great way of determining if you should be managing these devices via a central interface. Cons: Title confusion – the book is neither hands on nor restricted merely to the “enterprise.” Home Office, Small Office and residential readers who have a few devices in their home will find great value in this book. “Getting in shape: using agile and other development methodologies” If you know what agile is and want to get in shape, this book is for you! Unlike other fitness books that focus on just one aspect of getting (or staying in shape) this book is a great broad overview that doesn’t tell you what to do, but empowers you with the information to do it yourself. No wonder, since it’s part of the Maker series affiliated with that great DIY publication and culture. I’ve been on my own weight loss journey and really wish I had this book when I started. No “program” for losing weight or getting in shape is included but rather various modalities such as diet, exercise and sleep and analyzed. In each section the reader is empowered with various alternate theories on the subject (when is a good time to eat, what is a good sleep schedule, etc) and since this is a book for geeks, a whole slew of smartphone apps, websites, and electronic gadgets are included to assist you along the way. Readers looking for a how to guide or a diet program won’t find it in this book. Just like a manual for programming won’t make you an expert coder, this book provides you all the objects you need to assemble the right set of changes for yourself. A great example of this was the sections on fasting. I’ve read mixed theories of a 16/8 or 15/9 fast vs a 24 hour fast, etc. After reading the book I felt comfortable experimenting a bit more and playing around with my windows of meal times. Programmers and other tech geeks: this is the book for you! You are used to this style of writing and deriving benefits from a set of feature guides and menu options. It’s up to you to put all that together to make something worthwhile. Think of it as hacking your body and this is about overclocking your aging processor and lack of RAM. In this article for GigaOM/TheAppleBlog, I cover how to backup your iOS device to iCloud and locally at the same time. In this article for GigaOM/TheAppleBlog, I review recent security updates for the Mac and Apple's refusal to support older operating systems . In this article for GigaOM/TheAppleBlog, I explain how to do a custom vibration pattern for iPhone contacts. With the amazing capabilities of the modern iOS devices, the camera that you have with you is often the best camera to have because, well it’s always with you. iPhone obsessed, while written primarily for the iPhone 4 and 3GS camera, still applies to any iOS device with a camera. Although some tips and tricks for finding a great photo are included, the book’s focus is on apps and procedures to take a good photo and turn it into a great one. It’s all about post-production without a desktop. Use your iOS device to perform advanced manipulation that rivals some of the best desktop programs. What I really liked about the book is QR codes in every section taking you to the app for purchase as well as online videos and tutorials that go into greater detail if you are interested. No long URLs to type: smart! As a very novice photographer, some of the language and techniques used were a bit above my level and this book is written for photographers well-versed in concepts such as filters, lens flares and blurs. 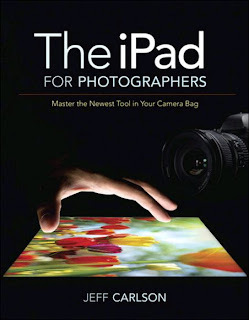 The audience for this book is experienced photographers wanting to take some of their techniques to iOS devices. This is the book when you’ve mastered Instagram and Hipstamatic and want more, much more. Overall a great book and the apps and procedures reviewed should definitely improve the quality of my shots. If you are giving or supporting an iPad for someone who is a baby boomer or older, this is a great book! This book is specifically designed for senior adults who may not always feel comfortable with technology and face certain physical challenges when eyesight and mobility begin to fail. Unlike “dummy” style books, this book respects their life experience and doesn’t talk down to them. Each chapter focuses on tasks rather than functions. Instead of presenting Safari, the chapter is entitled “Browsing the Web”. For novices who didn’t grow up with these terms, focusing on what the iPad can do rather than what it is called is vitally important. With the imminent demise of MobileMe, it’s time more of us move to iCloud and Lion, but with Apple thrusting this upon us, not all of us feel comfortable changing the way we’ve done things with MobileMe for years. Fortunately this book will alleviate your fears and make you a master. The book, although multiplatform, focuses primarily on the Macintosh usage. Each aspect of iCloud is covered: mail, notes, iMessage, contacts, calendars, reminders, iPhto, iTunes, backups, documents, and search functions. Each chapter gives an overview with objectives and then clearly organizes the information with tips, screenshots and easy to read diagrams. The audience for this is beginner and intermediate users, although since the service is so new, we are all pretty much beginners and can learn from this book. Missing is troubleshooting ideas when things go wrong, but this is a “quickstart” guide and not a comprehensive manual. Cons: Can’t bring back the functions we miss in MobileMe! Forget about playing Angry Birds and watching Netflix, this book is all about business and rightfully so. David Sparks is a legend in the Mac community and his books are always spectacular! If you use your iPad for a business or non-profit, this is a must have. The organization of the book is extremely focused. Each chapter covers a different aspect of what a user might need to do with their iPad such as writing, contacts, or presentations. Instead of showing you the basics of the iOS apps included in the iPad, David takes a holistic approach suggesting not just a variety of alternative apps but discussing suggested workflows and how to optimize these workflows for your individual business. No stone is left unturned here: billing/invoicing, databases, project management and more business specific concepts. 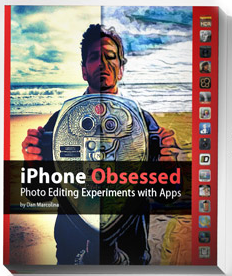 The chapters start with the coverage of the primary iOS apps as well complimentary or alternative apps. Each app is given a QRcode making for easy downloading on your iPhone. What a thoughtful and smart idea, but that's MacSparky--the online identify of David Sparks. Great screen shots and succinct writing make this a quick and easy read and allows you to skip over the concepts you aren't interested in. Don't skip. Even if you know contact management or word processing, the tips and tricks to optimize usage are well work the short reads. The appendix of the book includes industry specific suggestions for law, medicine construction and more. A seriously awesome book by an industry luminary! I'm not quite sure what the target audience is for this book, but I know it fails to adequately speak to any audience. The hallmark of this book is extensive screen shots for each topic and no matter what the topic is, it only takes 2 pages. Every aspect of using an iMac is covered including iPhoto, iTunes and other iLife apps. My biggest concern with this book was that it was too advanced for a novice audience and too basic for an intermediate or advanced reader. For example, a novice doesn't need to know about DHCP numbering schemes but an intermediate or advanced user doesn't need to know about how to shutdown the computer. The organization of the chapters is simply bizarre. The author's flow is based on setup rather than usage. The starting chapter includes setup and networking and moves to sharing with other users, a clearly more advanced concept, and then swings back to running applications and then organizing files or folders. Waiting until chapter 5 to talk about web surfing really doesn't make sense to me. Most users want to hook up their computers and immediately surf. Later on in the book, information about remote connections and printer sharing are included, but given the same amount of space as sending an email or watching a DVD on a Mac. Different concepts require different amount of space to cover, so a new user might easily get overwhelmed they didn't understand some of the more advanced concepts. I'd like to say the topics were covered well but they weren't. The illustrations were extremely busy with as many as 8 flags on one screen requiring a legend and color coding to decipher. With Google not just changing its privacy rules, but these slowly becoming a political and election issue, this book gives a short (75 page) overview of not just how we got here but how other countries deal with this issue. The book doesn't offer many suggestions about how to approach the issue nor does it take sides in this great debate. An unimpassioned, direct approach is what you'll find here. You might want to get out your tinfoil helmet after this read because the authors paint a grim picture on our lack of privacy not just here in the US but all over the world. This is not a technology book but more of a short essay on issues that business and governments face in their need to obtain data to protect citizens or to maximize profits - balanced against the rights of citizens and their need to feel like eyes aren't always on them. In this article for GigaOM/TheAppleBlog, I cover the top gadgets at Macworld | iWorld 2012. In this article for GigaOM/TheAppleBlog, I cover last minute holiday gifts you can buy instantly online.